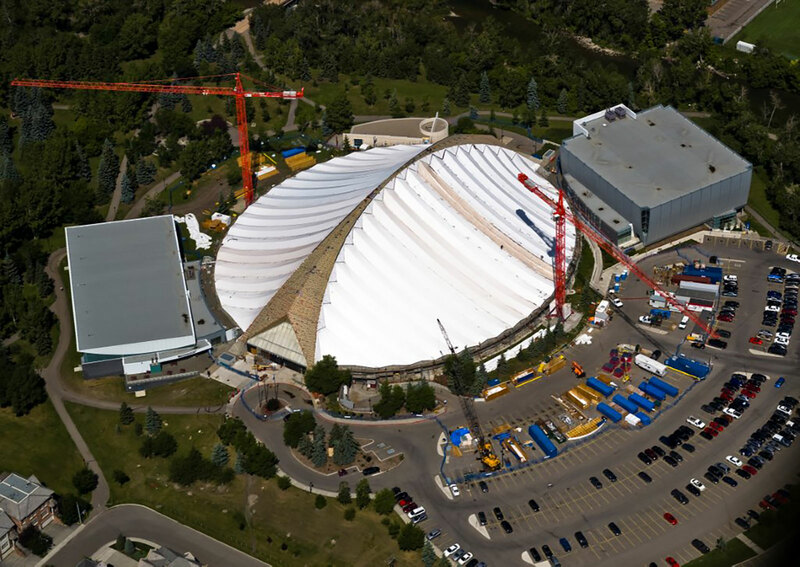 The Talisman Centre is situated in downtown Calgary on a large site flanked to the West and North by the Elbow River and its’ greenbelt while the busy MacLeod Trail borders the East boundary and the residential community of Erlton to the south. 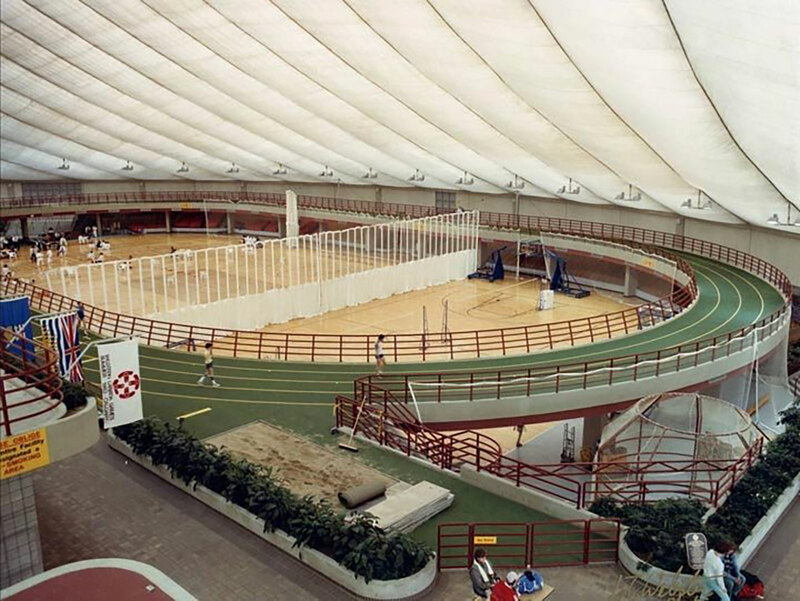 The facility is comprised of 3 pods, the central being a large oval plan structure with a cable suspended fabric roof. 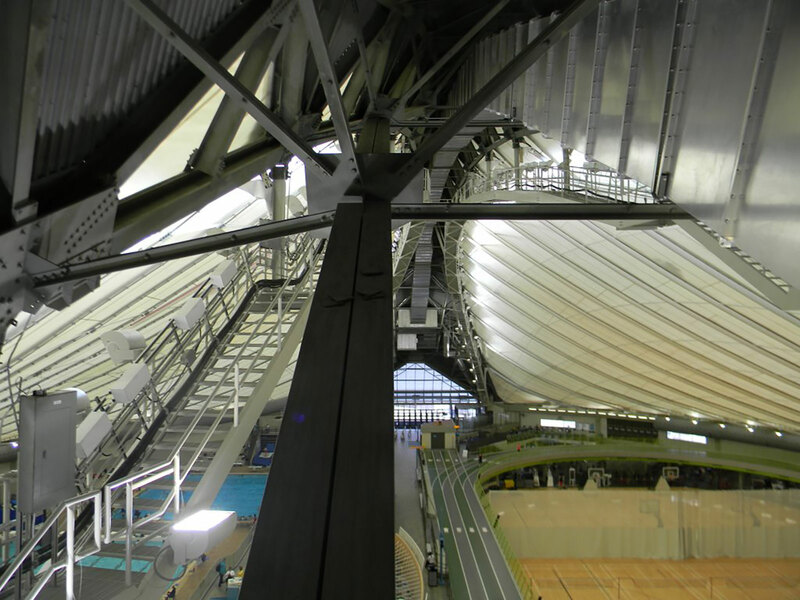 The roof and catenary cable system is held in place by a perimeter ring beam and a central arched spine. 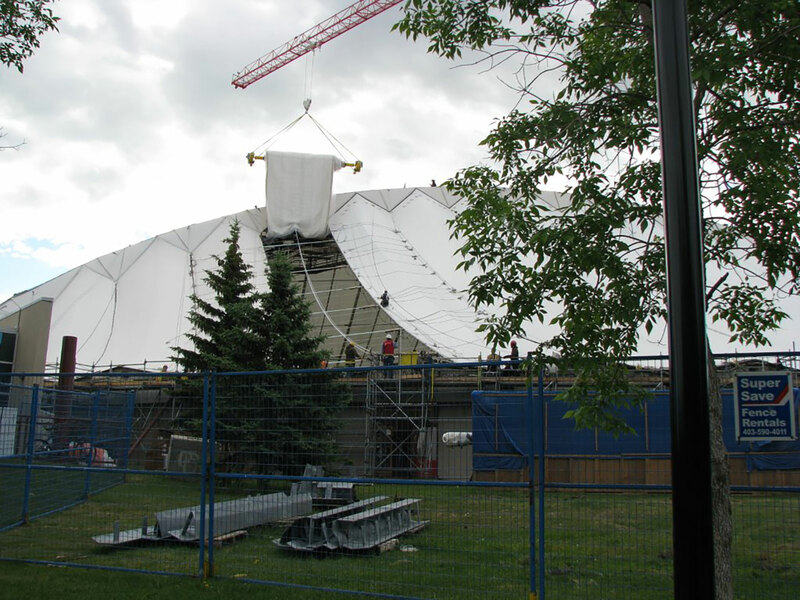 The central pod houses both dryland and wetland activities under the massive fabric roof. The two adjacent pods accommodate wetland and dryland activities as well as Sports Medicine facilities. 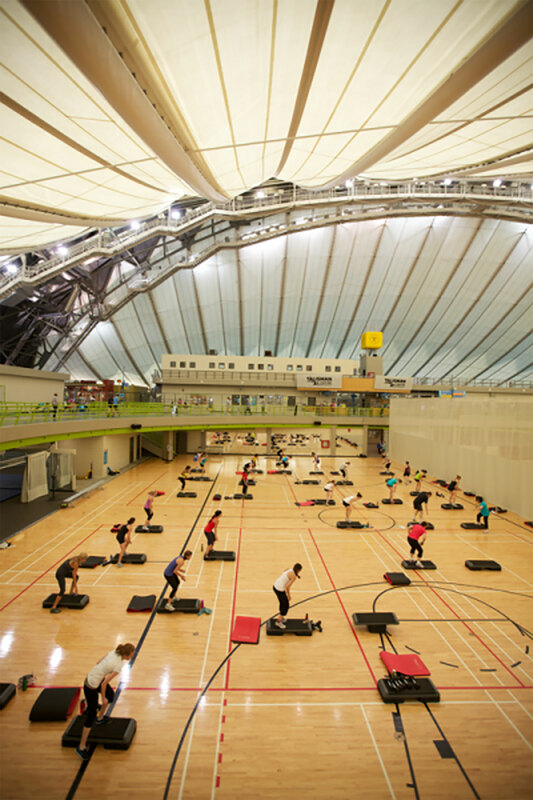 The facility required a major upgrade to its cable suspended fabric roof system involving the redesign of connections to the central arched spine and the perimeter ring beam as well as a number of renovations to the interior spaces of the facility. The two flanking pods adjacent to the main fabric roofed building remained functional during the renovation of the facility. The renovation challenge included maintenance of large portions of the parking lot and protection of the adjacent greenbelt park. 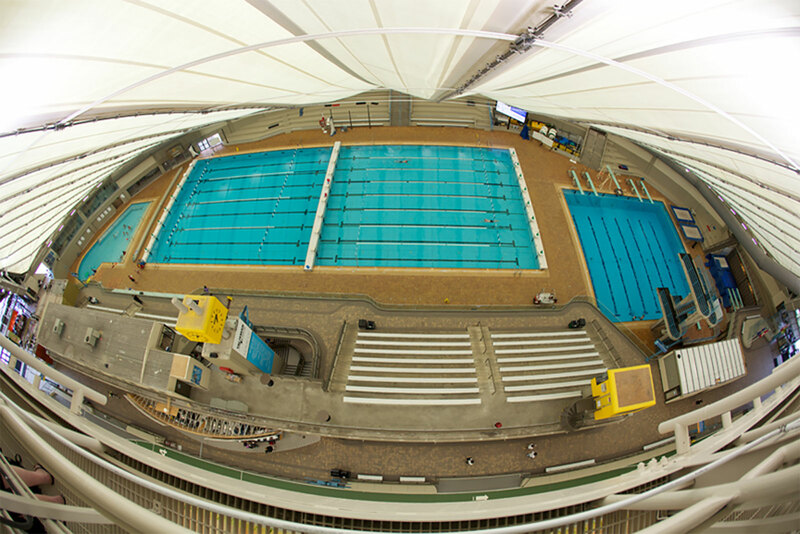 Utilizing state of the art insulated roofing fabric combined with a redesigned mechanical air-flow system brought the facility a new and revitalized interior environment to meet the harsh demands of the pools and dryland activities. As well, a complete redesign and refurbishment of the public and staff change rooms, locker rooms, showers and gym activity level refurbishment was included. 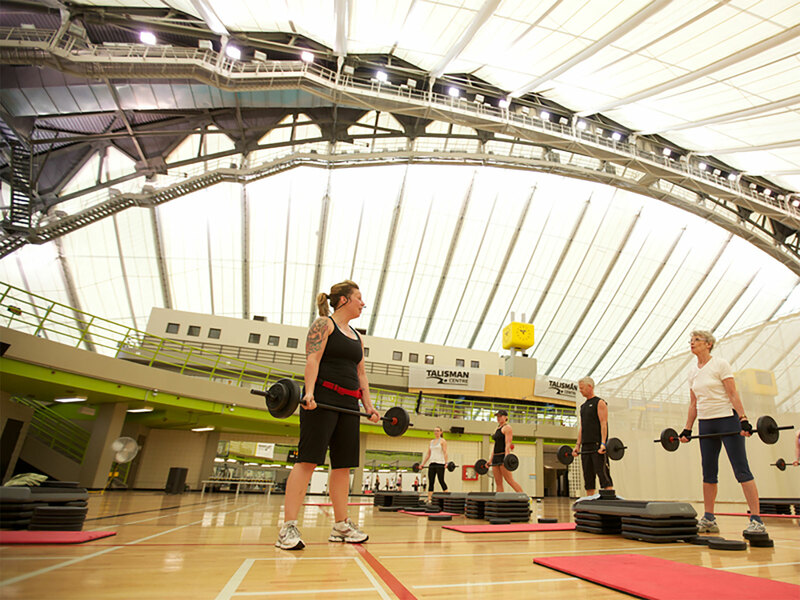 The facility experiences a very high rate of occupancy that flows hourly with the multitude of daily programs offered. The renovations are designed to accept the volume of traffic while maintaining a safe and healthy atmosphere. The interior designs accomplished the updating of the existing interior finishes to bring the 30 year old space to current status. The selection of finish materials made priority of attributes for maintenance, durability and the creation of an enduring healthy environment. Client consultation and meetings and coordination with multiple stake holders was critical to ensuring the work being carried out would have a minimum impact on the facilities operation but also to ensure that the facility upgrades best suited the user’s needs. The project won an award from the Illuminating Engineering Society in 2011.